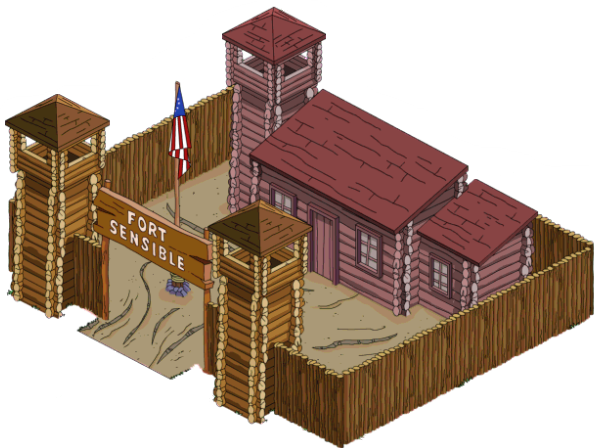 Fort Sensible is a fort in Olde Springfield Towne, Springfield. The fort was named after the enemy surrounded the fort and asked for the captain of the fort to be sent out. If the captain was sent out, the rest of the fort would be spared. So, they sent the captain out and he was then killed. Marge took Bart to Olde Springfield Towne to learn more about Colonial times. 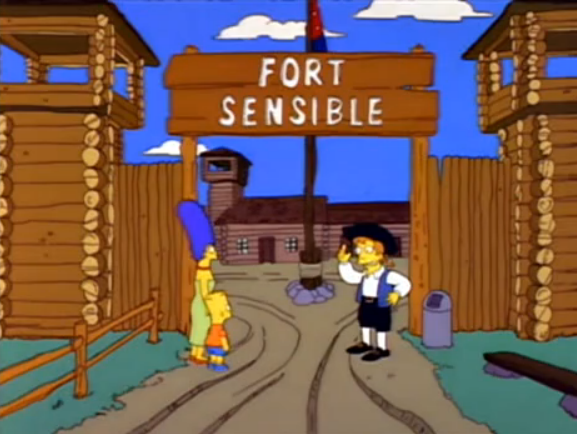 They visited Fort Sensible while here. Modified on October 2, 2016, at 15:43.